This prefab home in Scottsdale, AZ, takes its design cues from architect Frank Lloyd Wright, but is full of 21st-century green features, including solar panels and a gray water collection system. 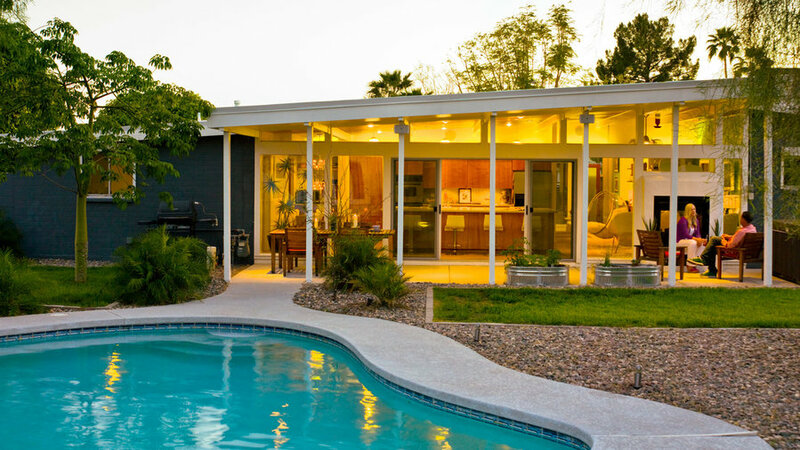 The suburban homes designed by Joseph Eichler in the 1950s and 1960s have become a hot commodity today, in large part because of their gorgeous expanses of glass. To create a seamless transition from indoors to out, decorate your patio in a similar style and palette as your interior scheme. 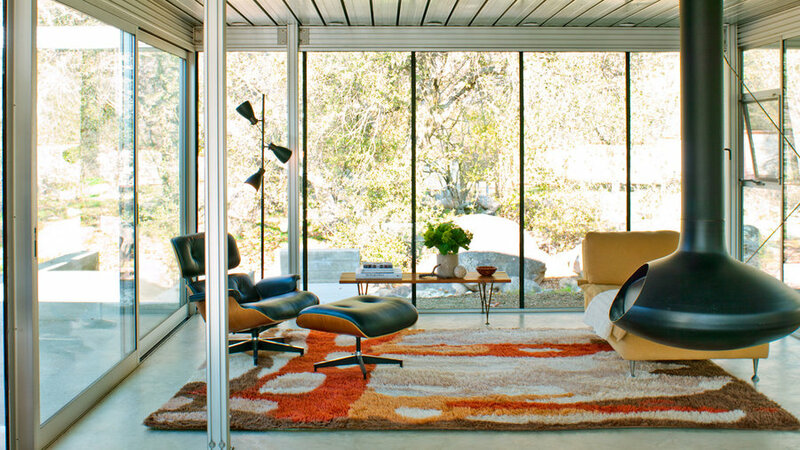 The mid-century Eames lounge chair has proven to be a design MVP, capable of elevating almost any setting. In this eclectic living room, the streamlined silhouette provides visual balance. 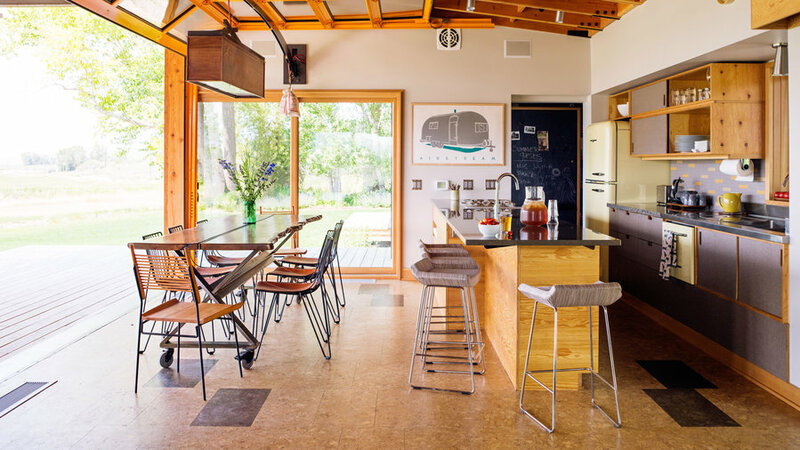 An indoor-outdoor connection was core to the design of the ranch house, an iconic Western design popularized in large part by architect Cliff May. In this new rendition, that connection is helped along through tricked-out features, including a glass wall that rolls up and an adjustable patio “sun visor” powered by hydraulics. This kitchen makes a nod to the 1950s through its vintage-style fridge and plywood cabinetry, but details like the cork floor and a raw-edged dining table create a contemporary look. 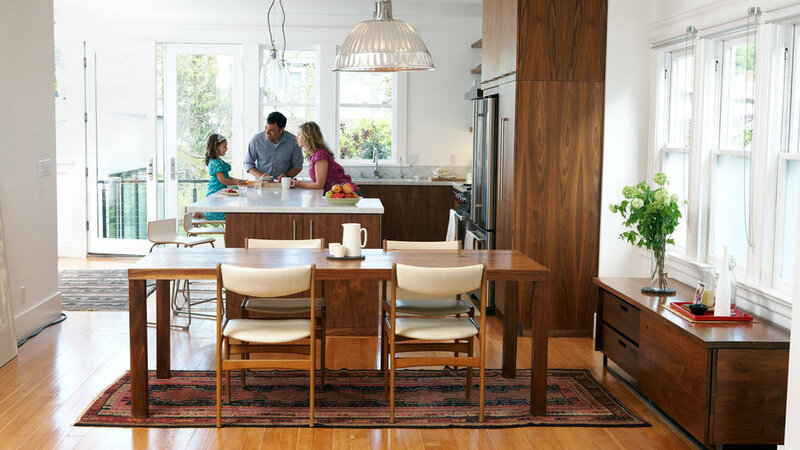 As seen in countless mid-century sideboards and tables, walnut remains a popular modern-design choice. In this open kitchen, it adds warmth and depth—and connects the room to the rest of the living space. The glass walls aren’t the only reason this living room feels like a retreat. The minimal furnishings—with their clean, mid-century modern lines—and the floating fireplace create a sense of openness. The Tulip table, designed by Eero Saarinen in the 1950s, has endured for a reason: It pairs well with almost anything. 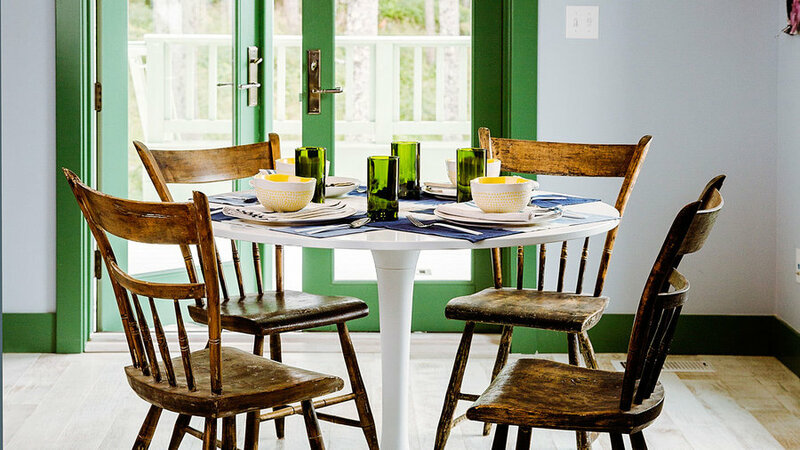 Here, the table’s sleek shape is a counterpoint to more rustic spindle chairs. 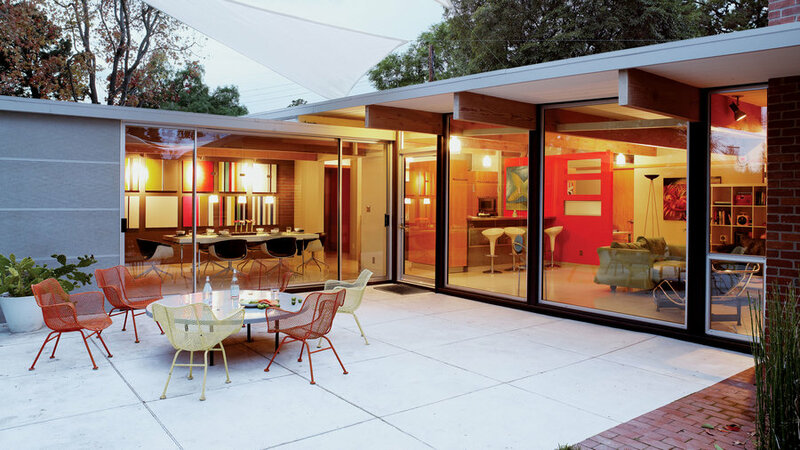 Creating a mid-century modern space doesn’t require endless trips to the flea market; the style continues to influence plenty of contemporary designs. 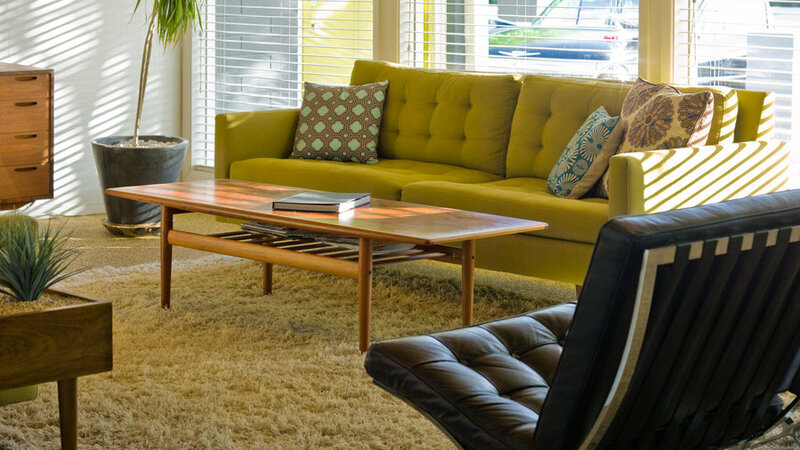 This living room includes both a Crate and Barrel sofa and a Danish-modern coffee table from eBay. This ranch house was built in the 1960s, but lacked the openness the homeowners wanted. Their solution: break down the exterior walls and replace them with glass walls and windows. 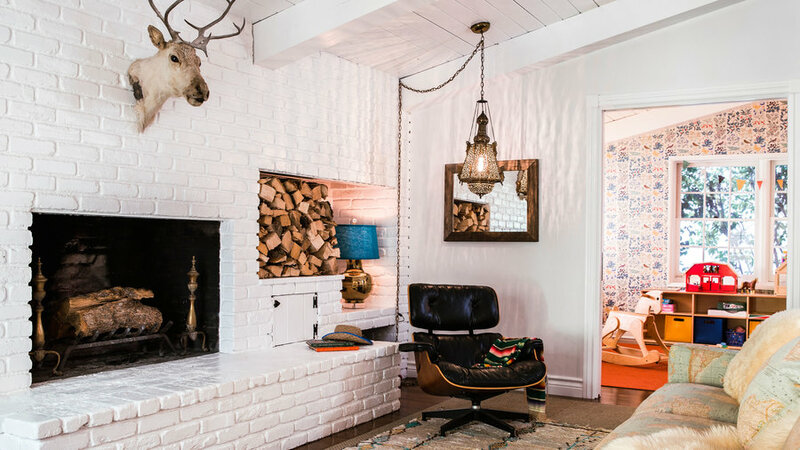 To keep a mid-century modern–style space from looking cold, layer on some textured accents. 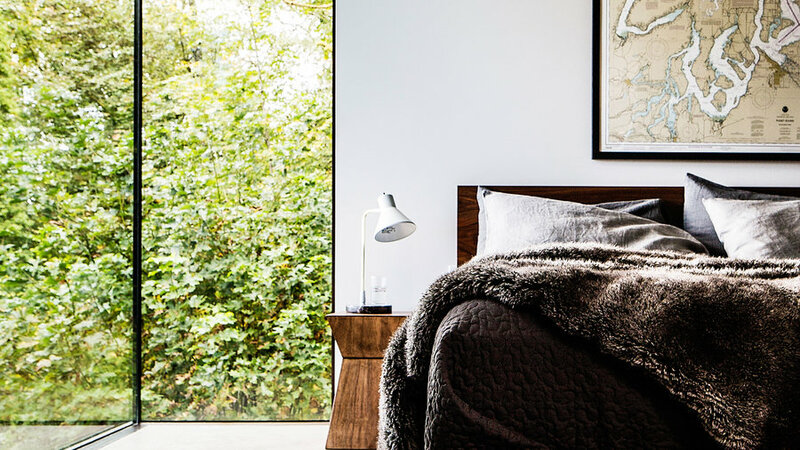 The simple addition of a faux-fur throw and a textured bedspread make this minimalist bedroom instantly inviting. 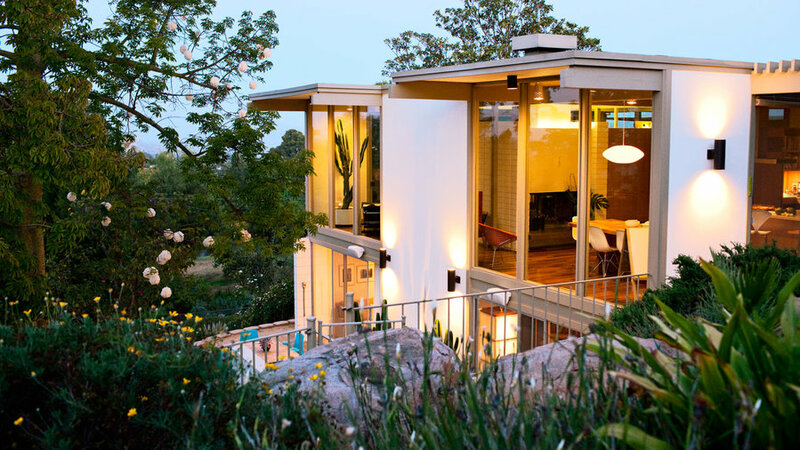 There wasn’t a whole lot that needed improving in this stunning 1966 San Diego home. 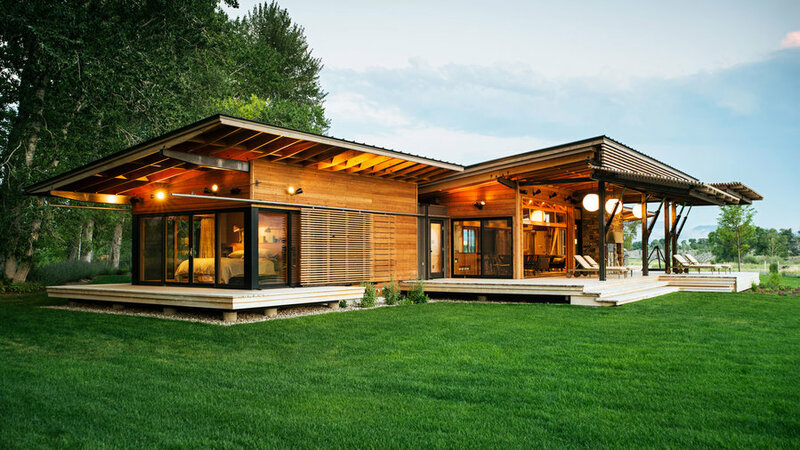 For their careful renovation, the homeowners chose modern green materials, including Brazilian teak floors and ipe wood decking, that jibe with the home’s original character. 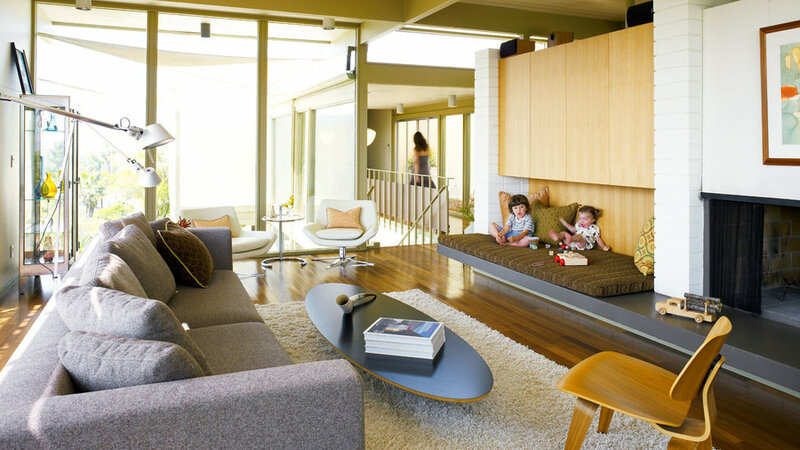 The living room in this mid-century home stays true to its era, with low-slung modern furnishings and plywood accents, while the neutral palette makes it feel timeless. 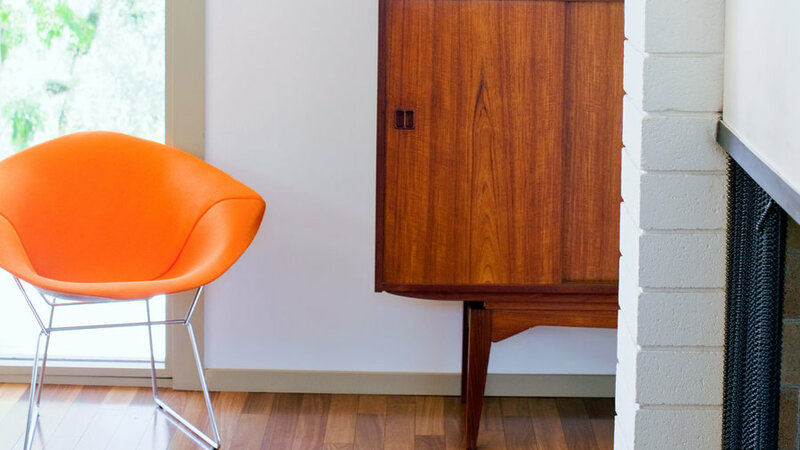 The bright orange upholstery of this chair perks up the more serious mid-century sideboard. The earthy pottery and lamp keep the mood light, too.